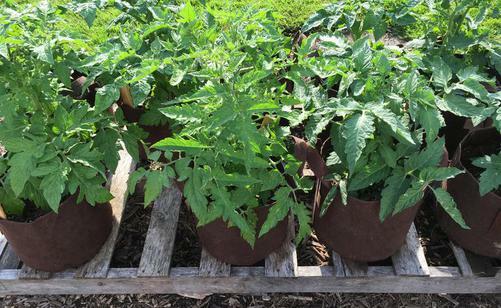 There are many advantages to growing your tomato plants in containers, but proper care is essential. It is also extremely important to use the right size pot and growing medium. One of the benefits of containers is that they may be moved around to maximize full sun exposure for those with shady growing areas. Container soil warms much faster than ground, so it may be possible to plant earlier but beware of cool nights and frost. Indeterminate tomato plants can grow 6-8 feet in height, so you will need a sizable container. Larger pots are better for root growth, so we recommend 20 gallon pots (10 gallon is sufficient for dwarf tomato varieties). Fabric pots are a great choice because they allow plant roots to breath. Air pruning occurs with fabric pots and results in formation of fibrous feeder roots and a strong root system. If you are reusing containers each season, it is wise to disinfect (one part bleach to 10 parts water) your containers before planting each season. Do not use garden soil in your containers or pots. Use only sterile potting mix which is much lighter and offers better drainage. We recommend Fox Farms Happy Frog Potting Soil. Start filling the container one third full with potting mix. Add a cup of bonemeal, a dose of slow release organic fertilizer (we recommend Epsoma Tomato-tone), and a few quarts of organic compost. Add the additional potting soil to fill the container. Plant your tomato plant deeply (at least half of the stem will be covered with soil). Planting deep allows for good root formation and plant growth. Adding a good layer of mulch on top of the potting mix will help keep moisture in and keep soil from drying too quickly in hot weather. 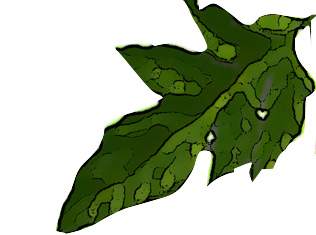 Use straw, shredded bark or chopped leaves. Leave a small ring around the stem of the plant so that mulch does not come in contact with the plant stem. After planting, water in gradually until the root ball of the seedling is wet. For the first week after planting, you will need more frequent watering as the plant gets established. We recommend several light waterings per day during this time. Tomatoes do not like to be saturated in heavy wet soil! As the weather gets warmer, monitor watering carefully. Keep the soil slightly moist but not saturated. You will likely be watering daily when plants are full grown and temperatures are above 80 degrees. You can also try a drip irrigation hose which can be used to water several pots at once. Just be sure to allow plants to dry out between soakings. Plants will either need staking or cages. So that roots are not disturbed, plan to add the stake or cage shortly after planting in the pot. Continue to tie and support as the plant grows. Plants will have been initially fertilized when planted, so wait 3 weeks before applying additional fertilizer. Follow instructions for your selected fertilizer but be sure to use organic. 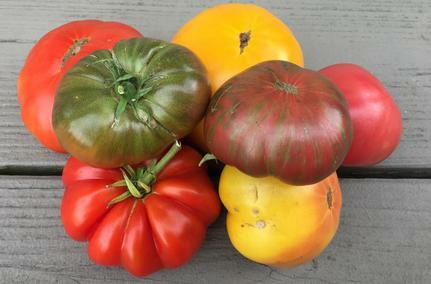 Some of our preferred fertilizers: Espoma Tomato-tone, Happy Frog Tomato & Vegetable Fertilizer, Neptune's Harvest Tomato & Veg Formula, Fox Farm Grow Big Liquid Plant Food. Plants can overheat in containers in hot summer weather. Monitor moisture closely. Provide a shade cloth in extreme heat. Do not over-fertilize plants and do not overwater.